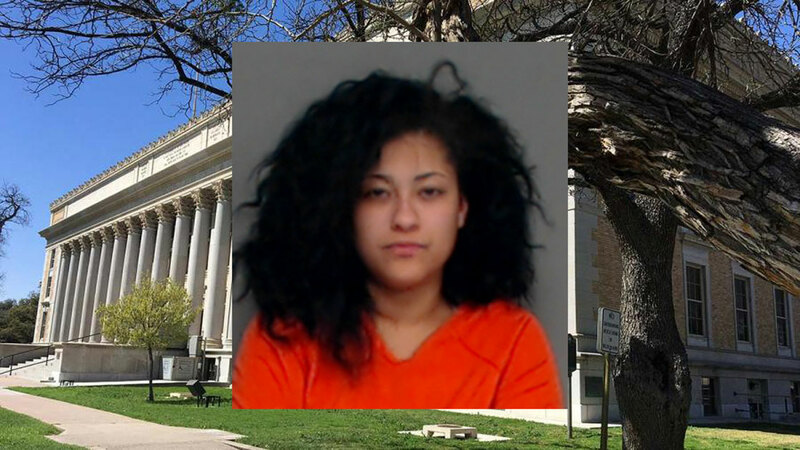 SAN ANGELO, TX — A San Angelo woman was placed on deferred adjudication for ten years Friday morning in exchange for a guilty plea for her role in a beating and shooting at an apartment complex in March of 2018. 27-year-old Jessica Watson was charged with two counts of aggravated assault with a deadly weapon along with codefendants Jedidiah ‘Gator’ Watson and Rodney Stephens. Aggravated assault with a deadly weapon is a second degree felony punishable by two to 20 years in prison, a fine of up to $10,000 and restitution. The trio is accused of assaulting a man and a woman at the Alamo Village Apartments on March 11, 2018. According to court documents, Jessica Watson is married to ‘Gator' Watson who is awaiting trial for the same offense. As we reported at the time, the Watsons and Stephens arrived at the apartment complex in a black Nissan Altima. One of the victims told police ‘Gator’ got out of the car and began shooting at the victims. The victim also said the three defendants physically assaulted both of them and the male victim was shot in the back. Police at the scene found suspected blood in the parking lot near the Nissan and a .22 rim fire casing. The investigation revealed that Jessica Watson worked for IHOP, ‘Gator’ Watson worked for FedEx and Stephens worked for Golden Chick. Jedidiah Watson fled San Angelo and allegedly abducted his two stepsons who were later found safe in Bell County. He was arrested and released after a manhunt on April 10, 2018. Watson was rearrested on July 7, 2018 and remains jailed awaiting trial on $150,000 bond. Stephens was released on probation on Aug. 8, 2018. He was sentenced to ten years probation, fined $1,000 and ordered to pay court costs and restitution of $33,837.00. According to court documents, Stephens has missed several payments and could be facing a motion to revoke his probation. Jessica Watson on Friday was placed on deferred adjudication by District Judge Carmen Dusek. Watson’s defense attorney John Sutton requested Watson be allowed to visit her husband ‘Gator’ in jail. After hearing from District Attorney Allison Palmer and Sutton, Judge Dusek denied the request. Watson was placed on deferred adjudication for ten years and ordered to pay $35,305.08 in restitution to the shooting victim. Judge Dusek explained that Watson was ordered to pay the full amount of the restitution but if her codefendants paid any amount that would be deducted from her responsibility to pay. Jessica Watson will be released from jail Friday. ‘Gator’ Watson has a jury trial scheduled for Feb. 19, 2019. So, in San Angelo, if you have a small amount of weed, you will be locked up. But, if you hurt, shoot, molest, burn, whatever, you will get deferred adjudication. I'm glad someone's priorities are straight.